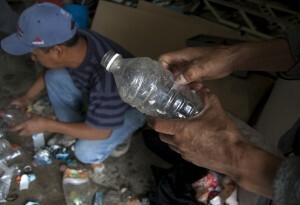 Engineers David Díaz and Nahielly Cervantes teach recyclers in Ixtlán de Juárez how to separate plastic for recycling into 3D printer filament. 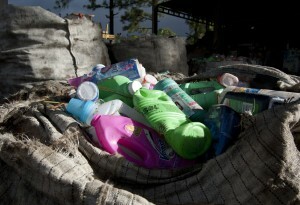 Plastic bottles at the recycling center in Ixtlán de Juárez, Mexico. They could be milled, melted, and extruded to make filament for 3D printers. 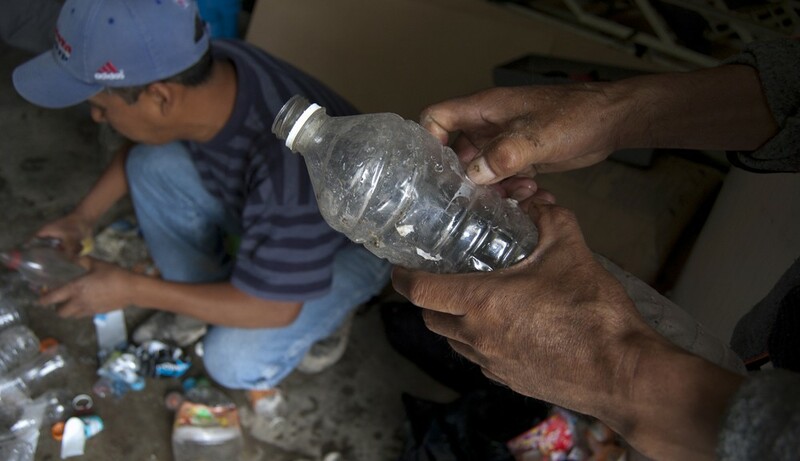 Recyclers in Ixtlán de Juárez, Mexico, learn how to separate plastic bottles for recycling into much more valuable 3D printer filament. 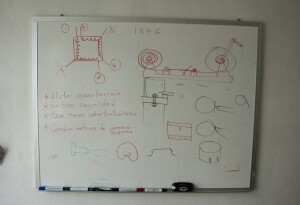 Plans at the FabLab in Oaxaca, Mexico. 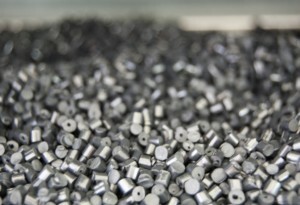 Plastic pellets that engineers at the FabLab in Oaxaca, Mexico, will melt and extrude into filament for 3D printers. 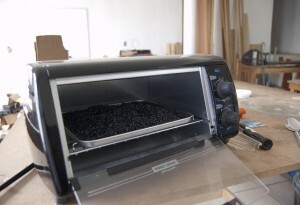 The engineers at the FabLab in Oaxaca, Mexico, use a toaster-oven to heat plastic pellets. 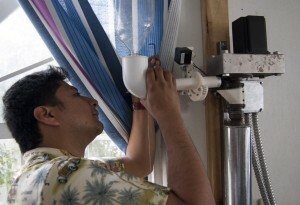 Engineer David Díaz adjusts the plastic extruder at the FabLab in Oaxaca, Mexico. 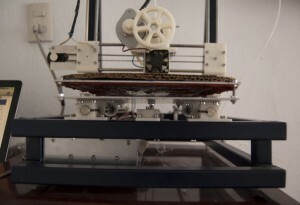 A 3D printer with 3D-printed plastic parts at the FabLab in Oaxaca, Mexico. Engineer Matt Rogge demonstrates the 3D printer he built at the FabLab in Oaxaca, Mexico. A busy street climbs a hill on the edge of Oaxaca de Juárez, the capital of the state of Oaxaca in southern Mexico. Up one flight of stairs in a fresh-painted white residential building you’ll find the FabLab community fabrication center and Oaxaca’s first locally-produced 3D printer and plastic extruder. This radio report first aired on Deutsche Welle in English: [html] [mp3]. The photos here are mine and first published here. Previous PostWhen U.S. Telecoms Come Calling, Will Cuba Pick Up The Phone?Next PostWho Are You?